The capital city of Tahiti, Papeete is unique in the South Pacific: It presents visitors with a sophisticated mélange of French lifestyle and Polynesian hospitality in French Polynesia’s most populous and commercial island. As the gateway to Tahiti and the 118 islands of French Polynesia, many foreign visitors’ South Pacific experience begins in the capital city. 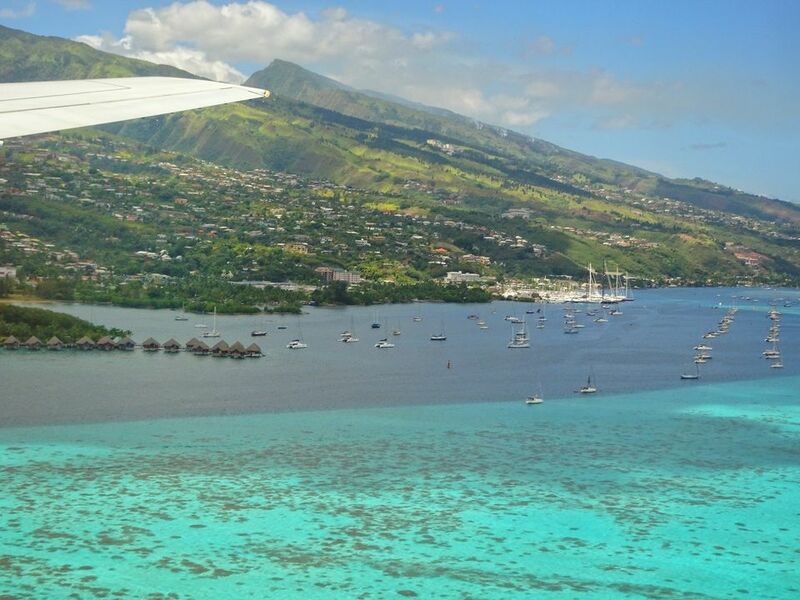 Papeete is where planes land at Faa’a, the only international airport in French Polynesia, and where cruise ships such as Paul Gauguin embark upon and end their island itineraries. Some visitors treat Tahiti as a jumping-off point for the rest of French Polynesia, passing the time between flights and ferry rides in Papeete. Note that almost 100 percent of the residents of Papeete speak French, so you may want to brush up on your language skills or invest in a translation app before traveling here. Downtown, the capital city entices visitors day and night with shops, restaurants, and clubs. At night, Vai'ete Square and the dockside area of Papeete becomes an open-air park and carnival, alive with music, dancing, and gourmet food trucks along the esplanade offering a range of affordable items including crépes, steak frites, fresh fish, Chinese food, and pizza. After a long flight, you may want nothing more than to stretch your legs. That's a good time to visit Paofai Gardens. There are plenty of picnic tables in this serene green space where you can observe ships docking at the harbor and see locals out on canoes. Couples also like the lush Water Gardens of Vaipahi. Walk through them to see a splendid variety of local flora. In the center there's a lake with a waterfall. Similarly, small Bougainville Park is a good place to picnic. French Polynesia’s best shopping is concentrated in the center of the capital, near Marché Municipale (city market). The marché itself—a gracefully sky-lighted, indoor arcade--delights browsers and bargainers. Lovers of fine jewelry will find The Robert WAN Pearl Museum stokes their desire to own the real thing. Use French Polynesian francs for deals on Tahitian black pearls, gardenia-scented “monoi” beauty oil, and Polynesian tchotchkes handcrafted of shells and wood. Nearby Papeete streets are lined with boutiques and upscale pearl shops. Couples who like to collect art when they travel ought to pay a visit to the Manua Tahitian Art gallery in Papeete. The focus of the diverse collection of contemporary and ethnic art is on sculptural items by talented artists of French Polynesia. It also sells many smaller objects that you can carry home with you. The urban attractions of the Tahitian capital include several worthwhile museums. At this writing, the Paul Gauguin Museum, which memorialized the visionary French painter who lived on Tahiti in the 1880s, is closed. Next door is the Harrison W. Smith Botanical Gardens, planted by an MIT physics professor who moved to Tahiti. and became a botanist. Before Tahiti became synonymous with mesmerizing blue waters, pristine beaches and romantic overwater bungalows, its atolls were used as testing grounds for atomic weapons. There is a memorial on Papeete's waterfront to the victims of French nuclear tests that were conducted both in the atmosphere as well as underground. And just beyond the capital, Polynesian villages hug inviting coves including Matavai Bay, where the actual Mutiny on the Bounty against the abusive Captain William Bligh took place in 1788. Today, Tahiti’s crystalline coastal lagoon hosts safer water sports of all kinds. Beyond the shore of the capital city, emerald hills ascend to soaring peaks. “Mountain safaris” and eco-tours beckon adventurers to discover Tahiti’s lush valleys, rivers, waterfalls, and wildlife. Is Tahiti Your Idea of the Perfect Honeymoon Island Escape? Which Island of Tahiti Would You Love Most? A Visitor's Guide to Moorea - "Tahiti's Magical Isle"